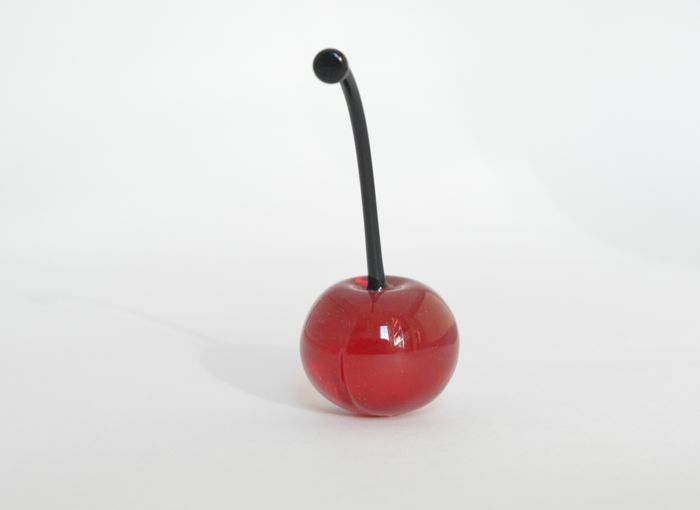 Benton & Tilley: Cherry Season! Last fall I visited Venice, Italy, for the first time. I was gob-smacked. Venice has an enchanting, otherworldly quality to it. It looks like a movie set. The highlight of the trip (aside from the ridiculous homemade pasta) was touring a Venetian glass-making museum. 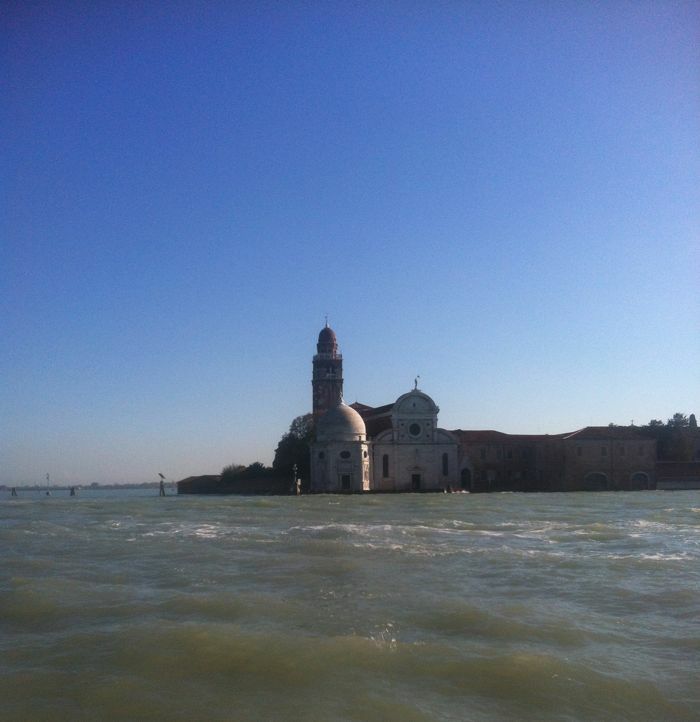 We hitched a ride on a water-bus near central Venice to the island of Murano. The water-bus was packed to the gills, but we made sure to get spots near the exterior. The ride is about twenty minutes or so and offers great views of Venice. 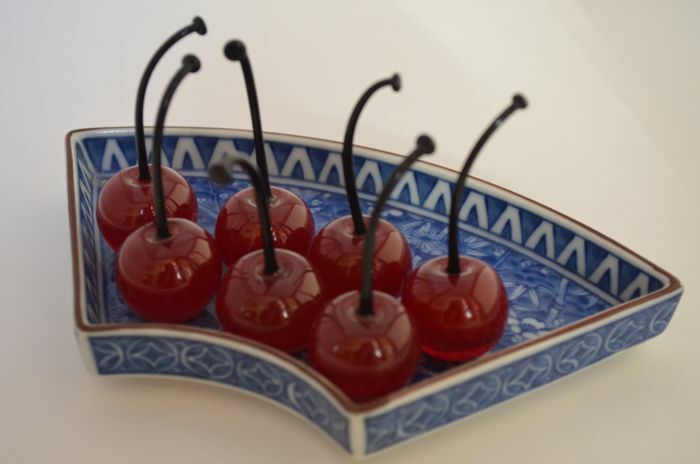 Murano is one of the many islands that comprises Venice and is home to world-famous glassmakers. We watched a glass-making demonstration, heard a little bit about Murano history and wandered around the island. 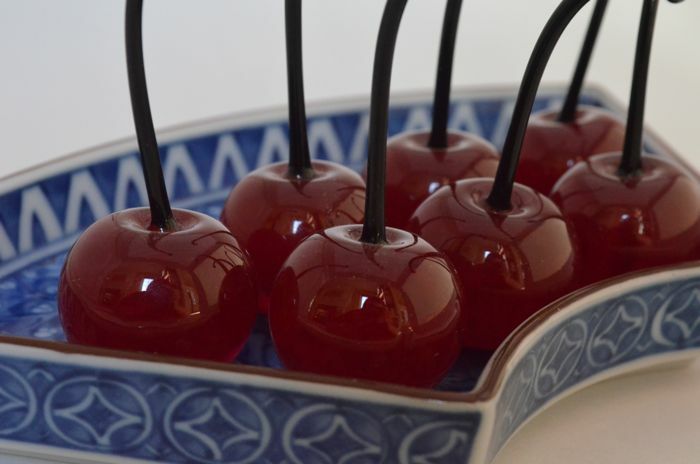 The moment I saw the glass cherries, I had to have them. I display them on a console in the entryway of my house. Their spunky cheerfulness greets me every morning.